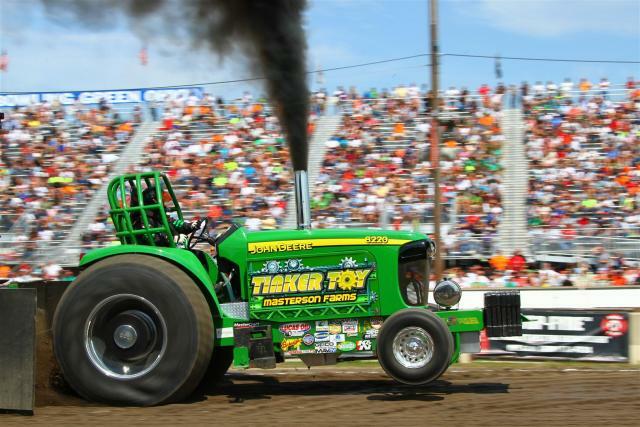 Lucas Oil Tractor Pull comes to the Inter-State Fair & Rodeo grandstand on Tuesday, August 13 at 7:30 pm! Gates open at 6 pm. The premiere pulling series in the United States, the highly popular Lucas Oil Pro Pulling League tours the country showcasing the most extreme vehicles and the most talented pulling drivers in the world. Featuring eight different vehicle classes from four engines, 5000+ horsepower tractors, to flame-throwing jet turbine powered semi-trucks, it is a uniquely American competition that highlights the combination of sheer horsepower and driver skill. We would love to hear from you! Please send us a message and we'll get back to you as soon as possible.